PIC: Excited to be at @VoxFeminaLA’s opening concert of their 17th anniversary season! PIC: Excited to be at @VoxFeminaLA’s opening concert of their 17th anniversary season!, originally uploaded by @jozjozjoz. 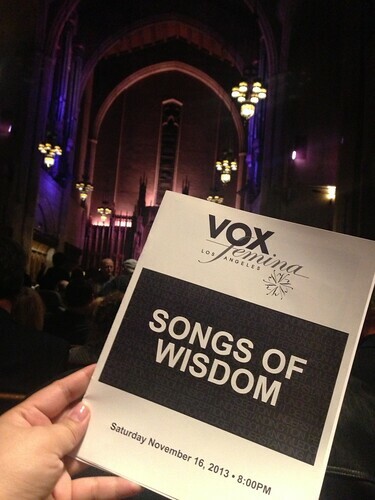 Vox Femina Los Angeles "Songs of Wisdom"